The shower enclosure is one of the most important structures in your home. It protects your bathroom floor from water damage that can result in wood rot and very expensive repairs. After many years of service, you may feel the need to remove the door for a thorough cleaning. Done carefully, this can revitalize the look of your bathroom. 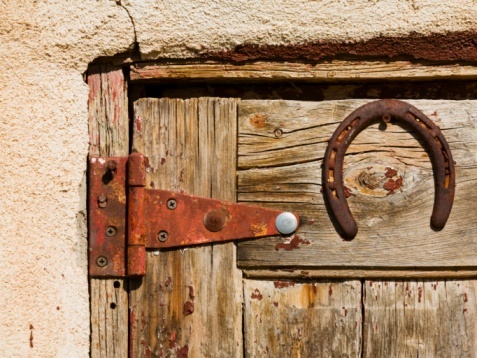 There are two types of doors: sliding and swinging or pivot. Sliding doors are the easiest to remove. Pivot doors require a little extra care to avoid creating a mess. 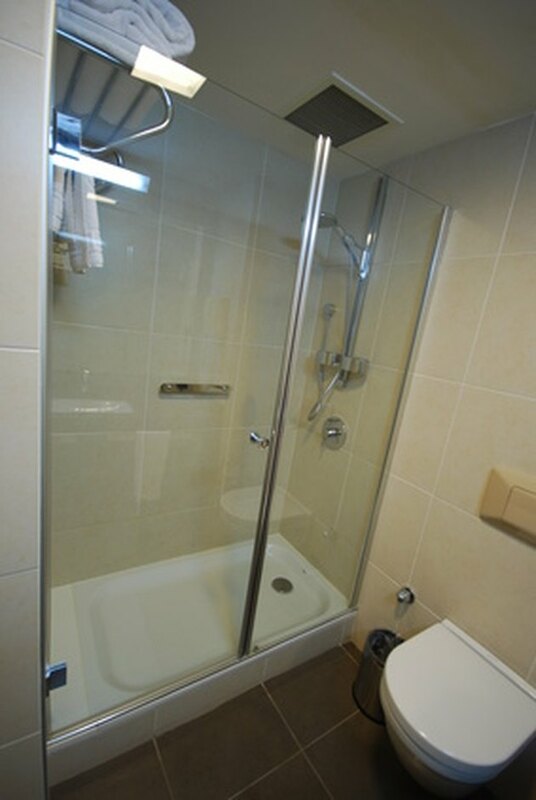 With periodic care, the shower door is nearly invisible. 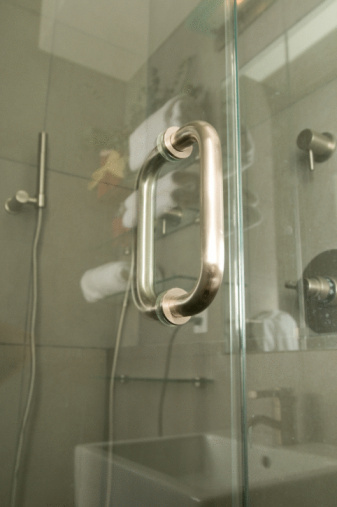 Most shower doors are made from aluminum extrusions and use standard sheet-metal screws to secure the corners and hinges. After years of exposure, the galvanic action of dissimilar metals causes a significant layer of corrosion in the joints of the door. This corrosion weakens the screws and they will break if not removed carefully. The doors should not be disassembled unless it is absolutely necessary. Be very careful with the corners of frameless doors, as the slightest bump against tile or a tub can cause the tempered glass to break. Sliding doors are the easiest to remove. The doors are most often hung with rollers at the top and a guide at the bottom. The guide is made of plastic and has a screw holding it to the frame. Remove the screw carefully. From inside the enclosure, lift each door up enough to release the rollers and then tip it toward you from the bottom to clear the frame. Thoroughly clean the glass, vinyl and rollers before reinstalling the doors. A pivoting shower door is held either by a pin at the top and bottom or a hinge that is attached through holes in the glass. The former is held by a triangular plate on top of the side rail. If the screws appear corroded, proceed carefully. Penetrating oil, such as Liquid Wrench, may help loosen any rust on the threads. The best solution is to insert a screwdriver into the head of the screw and, while putting pressure counterclockwise on the screw, tap the end of the screwdriver with a hammer. Repeat this procedure, tapping lightly, until the screw loosens.